One of the most dangerous places for humans to live on earth, Australia is home to a variety of creatures that can severely injure humans on land and in the water. 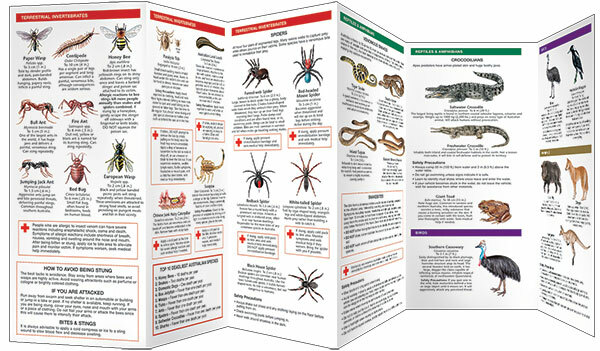 From the giant saltwater crocodile and great white shark to the tiny red-backed spider and dozens of poisonous snakes, travelers and residents alike now have a handy pocket reference that covers the creatures to watch out for, how to avoid encounters and basic first aid on how to treat different injuries. 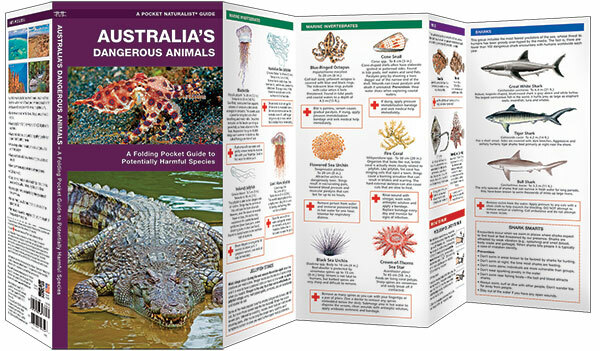 This beautifully illustrated guide highlights over 50 dangerous species. Made in the USA.